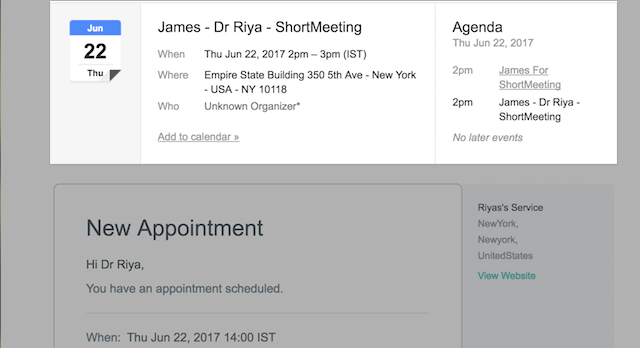 Include appointment information and customer location in staff email alerts using .ics attachments. The email alerts sent to your staff can be configured to include .ics attachments, which carry appointment and customer location information in a downloadable format. The .ics attachment is compatible with frequently-used calendar apps from Google and Apple. The .ics attachment includes the customer name, address, service and service provider, and appointment information like the date and time of the appointment. 1. To include .ics attachments in your staff emails, first enable your staff email alerts. Read this article to find out how to set up notification emails for staff in Setmore. 2. Next, go to Settings > Notifications > Staff and scroll to the section titled "Send an Email.” Click “Include an .ics attachment in emails” to enable the option. 3. 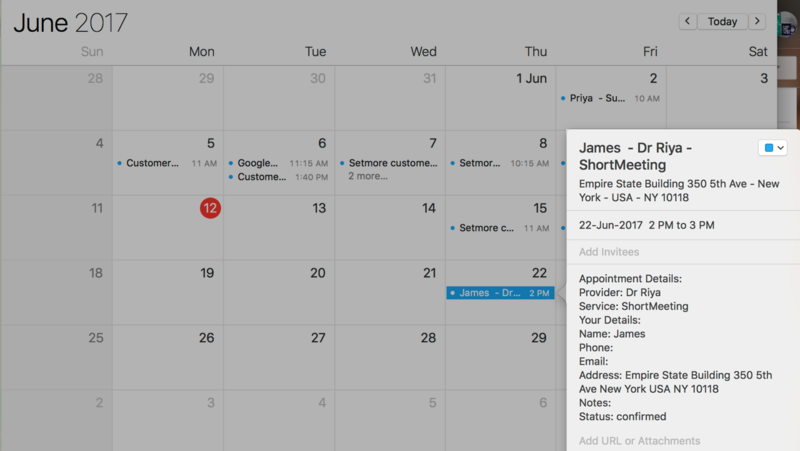 By adding the .ICS attachment to the staff email notifications, the email will display a prompt to add the appointment to the staff member's personal calendar. For services that require the service provider to travel to the customer’s location, Setmore gives you the option to include the customer’s location within the .ics attachment. 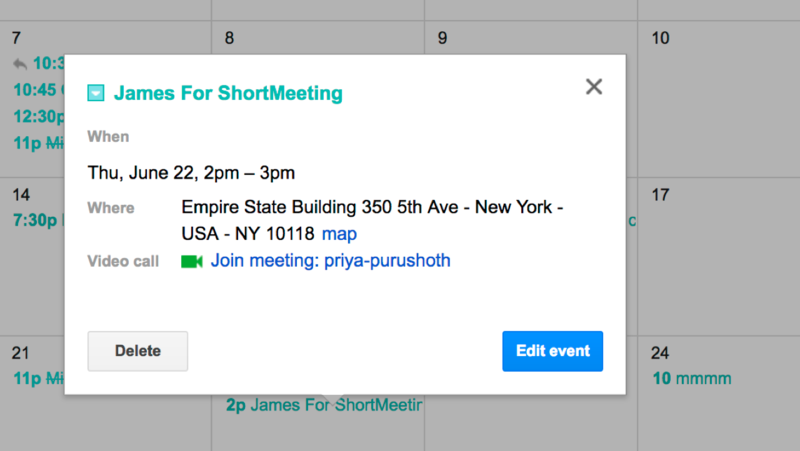 For Setmore Premium users who have the 2-way Google Calendar Sync active on their accounts, this feature will place a hyperlink right next to the location. Clicking on the hyperlink will point you to the location in Google Maps. The customer location feature is not currently compatible with Outlook and Office 365. If the customer location data is not precise, the nearest location will be displayed on Google Maps.